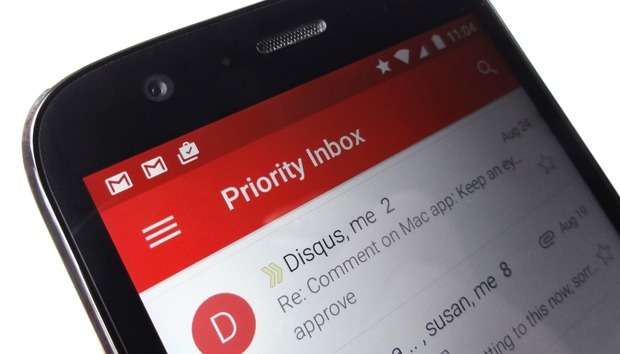 Google is making another play to make Gmail your all-in-one email hub. The company unveiled a scheme to “Gmailify” your Yahoo! Mail or Outlook.com/Hotmail address if you connect your account to Android’s Gmail app. Instead of just basic email management, Gmail will now incorporate more advanced features, like blocking spam and looking for content to ping you about in Google Now. Once you connect your account to Google, you may begin to see Google Now cards based on your messages, which may mean handy trip summaries or reminders about upcoming events. Unfortunately, these new features don’t extend to Exchange or Office 365 accounts (you still can use these with Gmail), so you may want to stick to Microsoft’s official Outlook for Android app if you have one of those accounts. You’re also unable to connect non-Gmail accounts to Google’s Inbox app, which lets you mass-archive batches of messages or snooze them for later. Google’s blog post did not indicate that a Gmail app update would be required to activate these new features, so the change is probably a server-side switch that should go live soon. Google also promised support for other email providers in the future, so we’ll be sure to update you when that happens. Why this matters: If you use Gmail to manage your Yahoo or Outlook.com email address, this change will finally put those other accounts on equal footing. This allows Google to gain more Gmail users who might otherwise have been loathe to switch over, given the hassle that used to come with changing email accounts. This will give you some neat features, and of course more data for Google to sharpen its services.